West of Insinya, Kajiado, Kenya. Dec. 2014. 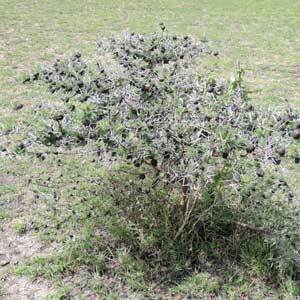 Shrubs two to six meters tall, often with many contorted branches and after rains clothed in dark green feathery leaves. Flowers are very small and clustered into white spherical balls. Seeds are beans set in curved pods. 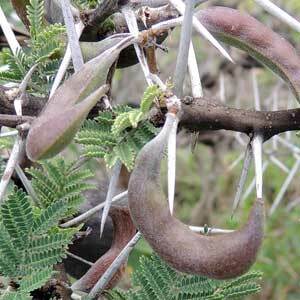 The swollen thorn bases are very conspicuous and sometimes the hollowed thorns produce whistling sounds as wind passes through. 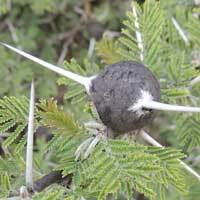 The hollow interior of the thorns are most often colonized by ants, and usually ants capable of inflicting painful stings. 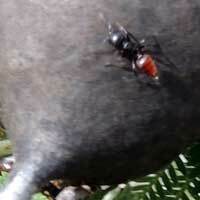 It is often to the shrub's advantage that the ants are there to defend against herbivores. The conspicuous colors may serve as aposomaticism. 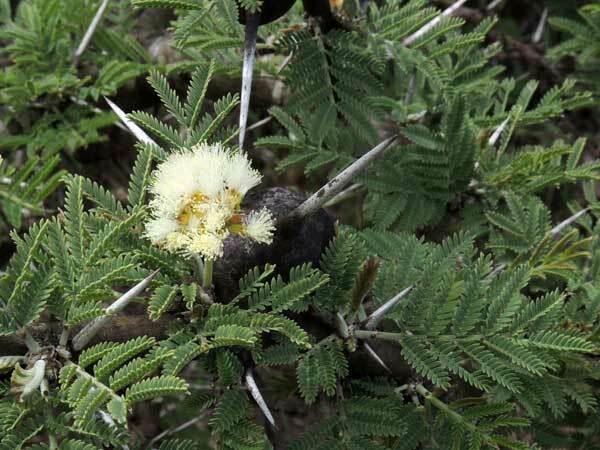 Some ant species are more beneficial to the acacia than others and this topic has been explored by a number of ecologists.